How to plan a trip to Umling La Pass - Highest Motorable Pass? You are at:Home»India»Ladakh, Zanskar & Kashmir»Ladakh»How to plan a trip to Umling La Pass – Highest Motorable Pass? How to plan a trip to Umling La Pass – Highest Motorable Pass? Umling La Pass in Ladakh, at an altitude of 19000 Feet or 5883 Mtrs, became the highest motorable pass in the world dethroning the Mana Pass in Uttarakhand and road to Uturuncu in Bolivia when BRO opened this road to civilians in 2017. Many adventure enthusiasts have already visited this coveted pass last year and added this extreme accolade of visiting the highest motorable road in the world in their adventurous life. 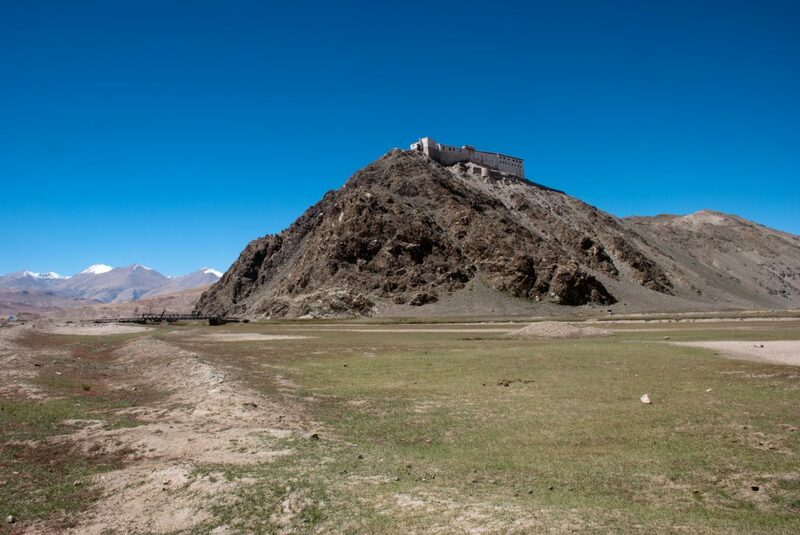 In today’s article, I am going to write in detail on how you can plan a trip to Umling La pass which is located nearby Hanle village in Ladakh. 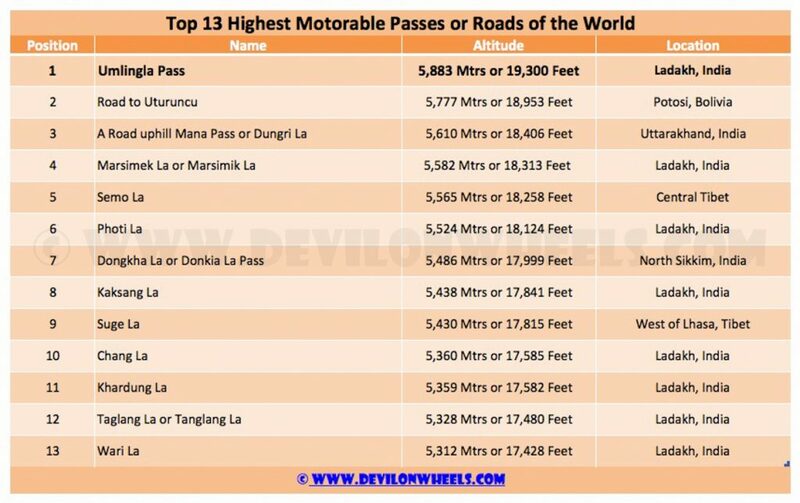 If you are interested in knowing more about the highest roads and passed of the world, you can, of course, check my article on top 13 highest motorable roads in the world. 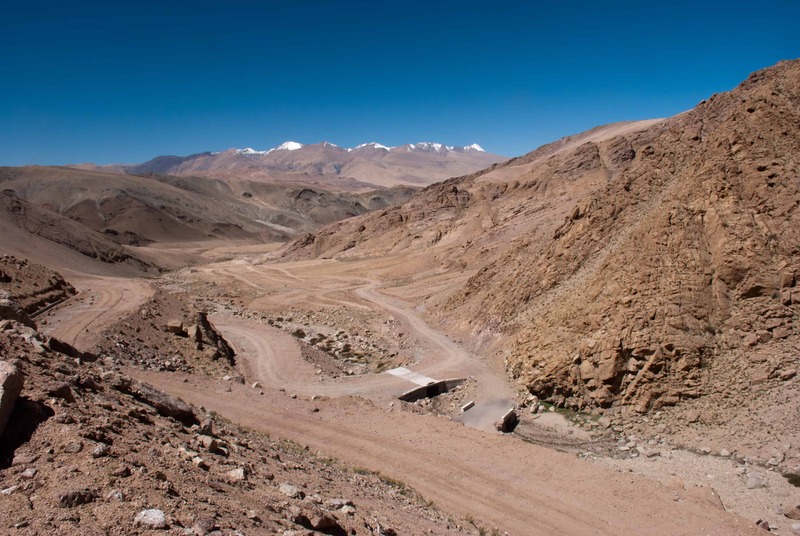 The 54 km long road passing through Umling La Pass connects the villages of Chisumle and Demchok and took six years to be built by BRO under Project Himank. Hats off to the whole team of Project Himank who took this daunting task of building up the road at such a staggering altitude. BRO had to give special training to all the workers for the construction of this road and is said that every hour workers had to come down to acclimatize themselves. I cannot imagine the hard work undergone but well the result is we now have the highest motorable road in the world in India. As Umling La pass is near to the Hanle village, you will be spending a couple of days in Hanle and hence, will be exploring it as well. In Hanle village, apart from witnessing the breathtaking beauty of the cold desert, you can visit Hanle Monastery as well as the second highest optical observatory in the world with an installed telescope of about 2.01 meters (6.5 feet) diameter. Hanle observatory is operated by Indian Institute of Astrophysics, Bengaluru and is situated at an altitude of 4500 Mtrs. The details of making a trip to Hanle is detailed out in my comprehensive travel guide of Hanle. Umling La pass is very near to the Line of Actual Control between India and China. Hence, one needs to get the inner line permit to visit this region including Hanle. The permit for visiting Hanle was used to be sufficient to make a trip to Umling La Pass. However starting 2018, no permits are issued for Umling La pass and civilians are no longer allowed to visit it. You can get the get the Inner Line Permits online now and get the stamps at the tourist information center at Leh. However, in order to get the permit for Hanle, you will have to visit DC office in Leh and get the permit stamped as per the old method of getting the permit. Carry the printout and visit Leh DC office to get the permit for Hanle. In case you are visiting Umling La pass from Demchok side, please prepare the permissions from the army for which you will need some good contacts in the army to get the permission. Well, the region of Changthang around Hanle and Umling La pass is very scenic but that at the same time it is harsh, unforgiving and difficult to survive especially in winters. As it is at a very high altitude, the lack of oxygen makes survival difficult if your body is not properly acclimatized to its high altitude. Hence, one needs to plan his/her journey extremely carefully to acclimatize properly and reduce the chances of acute mountain sickness. 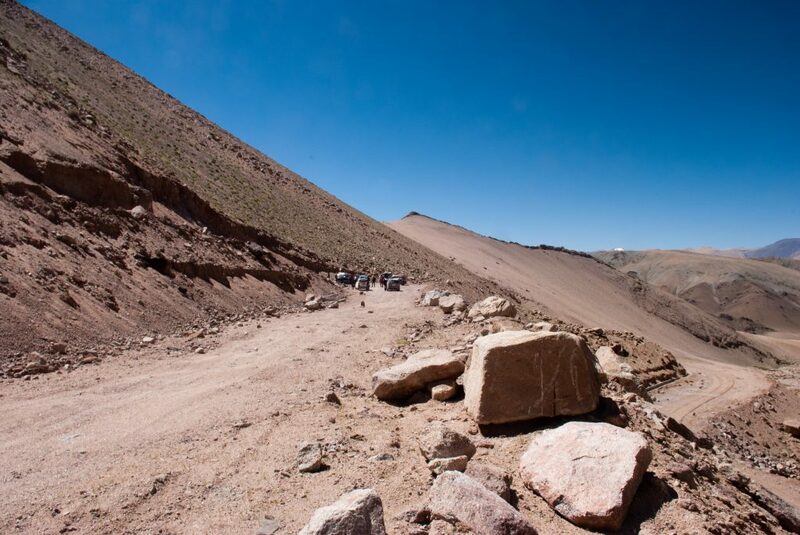 I highly recommend that you travel slowly and acclimatize properly before making the trip to Umling La pass. Disclaimer: The route direction map of Umling La has been hand drawn by me considering the rough idea of maps and talking to people who have visited it. Please use it only for informational purpose and direction sense only. It will give you an idea about the location and I request in case you have the KML file for the route of Umling La pass, please do share with us so that it can help many other adventure freaks looking to travel to Umling La pass in coming years. Umling La Pass has become the highest motorable pass or road in the world located at a staggering height or altitude of 19000 Feet or 5883 Mtrs in the Indian Himalayas. Well considering you will have to traverse various rough roads especially after Hanle, I will highly suggest that you make the trip to Umlingla pass end of the season around September. In early June, the Photi La Pass will have snow, so the route might not be open and then it is more like snow melting time up to July when water crossings are ferocious. Hence, late August when monsoon resides in North and September month seems to be the best time to make a trip to Umling La pass. In winters, it will not be possible to make a trip to Umlingla pass at all. So, in the months of November to mid-May, the roads to Umling La pass will be snowbound. Even in the month of May or early June, there is a lot of uncertainty as the snow bounds roads are not actively kept open by the army. This is the general route to Hanle that most people take to visit this ever beautiful place in Ladakh. You can reach in about 9 – 10 Hrs depending upon the number of breaks you take in between. Secondly, both Hanle and Tso Moriri is higher than Pangong Tso so as per acclimatization schedule you should stay near Pangong Tso before spending the night at Hanle and Tso Moriri. However, all depends subject to the approval of permits for this route via Chusul. Foreigners anyhow are not at all allowed to go beyond Man – Merak Villages as permits are not issued to them for this route. Finally you can also take the third route from between Tso Moriri and Hanle as Hanle – Salsal La – Kyon Tso 1 – Kyon Tso 2 – Thitzorbit La – Nidar – Nyoma – Mahe – Tso Moriri. This is very less frequented among all three routes we discussed to reach Hanle and chances of getting stuck in marshes of Kyon Tso twin lakes are pretty high. Once you have reached Hanle, you again have three routes to visit Umling La Pass. 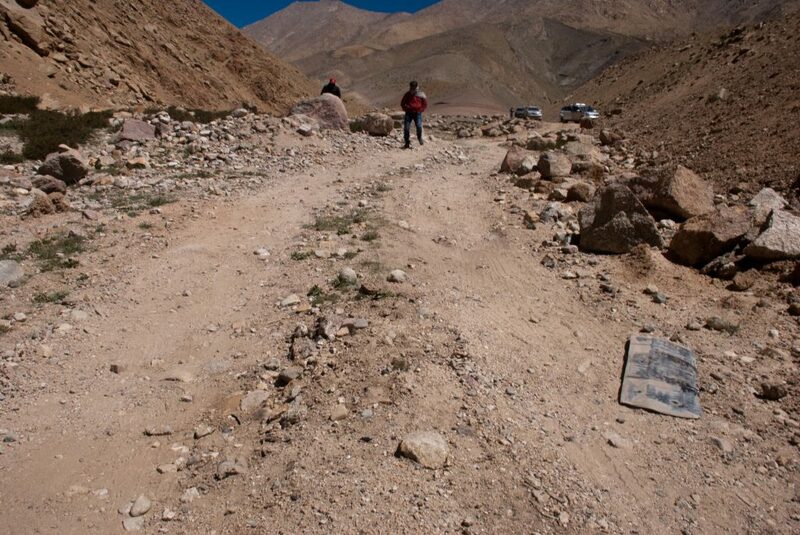 Umling La pass is about 105 KMs from Hanle Village. If you have a permit to visit Hanle, then there is no extra permit required and if you are coming from the Koyul side then you need to have a permit for passing Koyul as well. You can refer the maps for Hanle and Koyul routes. Starting 2018, no civilian is allowed to visit Umling La and permits for Hanle is not enough to travel to Umling La pass. You will be stopped at the checkpoints and will not be allowed to travel to Umling La pass. This pass is not yet open for tourists because of falling in the sensitive area too close to the border with China. 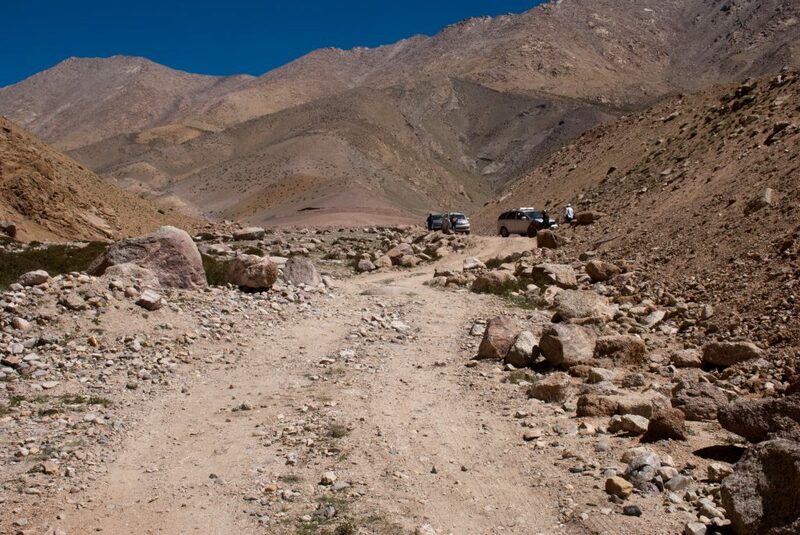 The route you can take is Hanle to Photi La Pass to Photile Village (57 KMs) and then follow the route from Photile Village to Umlinga La pass for about 50 KMs at an altitude of 19300 feet. You will come across two bridges/ water crossings while going to Umlingla Pass from Photile Village. 1. Hanle – Photi La (35 KMs) – Photile (57 KM) – Umling La (105 KMs): This is the most recommended route to reach Umling Las pass from Hanle in comparison to all other routes. 2. Loma – Dungti – Fukche – Koyul – Demchok – Umling La: Well, there are lots of ifs and buts for following this route because you will need special permission from the army to visit beyond Fukche towards Koyul and Demchok. Demchok is the border village on Indo – China border and half of the village lies in China while other half lies in India. Hence, getting the permission to visit this village as a civilian is extremely tough and can result in a waste of a day in case army does not allow you to go beyond check-posts at Fukche or Koyul. 3. 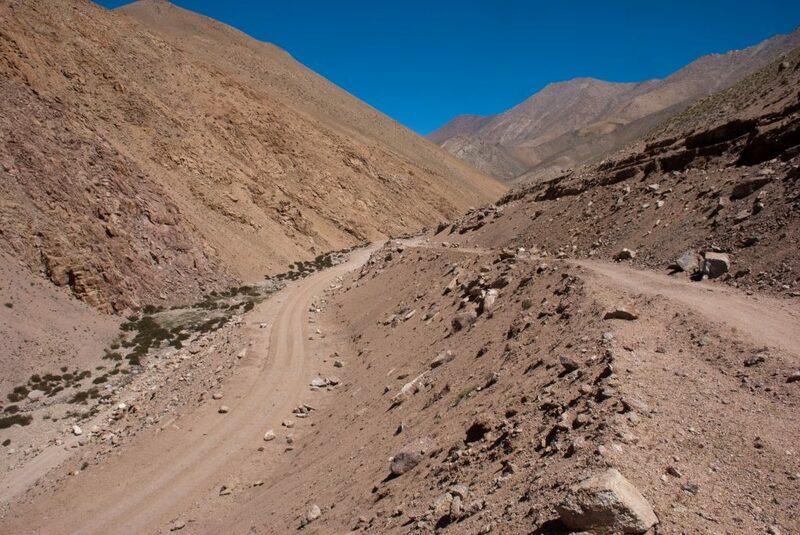 Hanle – Ukdungle (30 KMs) – Umling La (101 KMs): The road from Hanle to Ukdungle is very rough and almost a dirt track. Better avoid unless you have 4×4 or used to ride/drive on rough roads. Once you reach Ukdungle, you can follow the trail towards Umling La pass crossing the nallas/bridges that falls on the first route. Hence, you can do kind of both routes as a circuit. Of course, the higher ground clearance vehicles are preferable and AWD or 4×4 ones will surely add the much-needed comfort and peace of mind. The road ahead of Hanle towards Photila and Photile have some tricky sections in between and then further to Umling La pass there are a couple of water crossings which could be nasty at times. I will highly recommend that you take 4×4 vehicle in case you wish to take the Ukdungle route. I will keep my reservations for hatches and sedans going towards Photi La and Umling Pass pass as of now. Once, BRO completes the road constructions and makes it fully tarred, it is better to then attempt Umling Pass on hatchback or sedan. You should learn about the tips and tricks to drive on the rough roads in the Himalayas. In order to visit Umling La Pass from Hanle, I will highly recommend that you stay two nights in Hanle in order to make a trip to Umling La pass from Leh. One day you can relax the night before visiting Umling La pass at Hanle and next morning leave early to give yourself ample time to visit Umling La pass from Hanle. If you are an adventure seeker and have experience in riding or driving on dirt tracks and bad roads, you can try to take the route from Ukdungle. A word of caution that this route is better to be only taken if you have skills to ride/drive in such terrain else stick to Photi La route which in comparison is little easier to ride/drive than Ukdungle route. 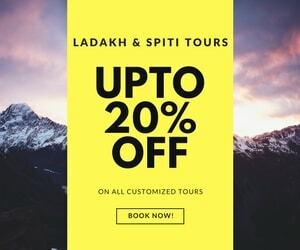 You can always refer my most recommended and detailed itinerary for Leh Ladakh trip. As Umling La Pass is just a mountain top far away from civilization, the closest stay options or accommodation near Umling La pass is at Hanle village where stay will be available for tourists. There is a well-known guest house in Hanle by the Sonam Guest House which offers about 10 rooms in all with a big dining room. Many of them have attached toilets and few shared ones. It was also known to be by the name of Padma Homestay earlier. Sonam Dorjay is the guy who runs it while Padma is his wife. As it is one of the remote places in Ladakh itself, you will not find anything major as medical aid near Umling La pass. You may need to visit nearest primary care center at Hanle village or Rhongo village. Otherwise, army camps may help out in case of an emergency for medical aid. Hence, it is highly recommended that you carry your own medical kit for basic health issues and do not rely much on medical facilities nearby Umling La Pass. The medical kit or first aid kit must always be present with you. Also, as you understand it is a very high altitude region, carrying an Oxygen cylinder with you will be extremely helpful in dire circumstances. There will be no eating place or food joint around Umling La pass. The nearest food you may get will be at army posts, local village dhabhas at Koyul, Demochok and of course Hanle. I will suggest taking packed food from Hanle village and if you are staying at Sonam Guest House, then better ask them to pack food for you. I will further advise that as a contingency of such a remote location, it is better to carry some spare food in case you get a little late somewhere due to roadblocks or landslides. The moment you will leave Hanle village, you will lose any connectivity whatsoever all the way to Umling La Pass and back. Recently, a BSNL phone tower has been put up in Hanle and at times the phone connectivity is present in the village. However, do not rely much on it. There is one satellite public phone installed at a house in Khaldo village in Hanle. The home with a phone also offers homestay accommodation. The nearest petrol pump to Umling La is at Karu (about 240 KMs) from Hanle. You need to carry enough spare fuel with you to complete the trip. It also depends upon which route you are taking and add the required fuel based upon added distance you need to travel from Hanle. Karu is near Leh only, so no matter which route you opt, Pangong Tso to Tso Moriri or Leh to Tso Moriri, you should carry some spare fuel. You may also find some black fuel at Hanle or Chumathang. You will not find any ATMs near Umling La Pass or Hanle village. Hence, it is always better to carry cash from Leh itself. This region near Hanle / Umlingla Pass in Jammu & Kashmir offers one of the most beautiful landscapes that you will even see within Ladakh. Hence, if you are planning a bit of adventurous trip and not traveling with family, I will suggest to surely including Hanle and Umling La pass in your trip plan. This region of Ladakh is still a bit secluded offering a different feeling and aura. I hope this travel guide will be useful for your upcoming trip Umling La Pass and other places within Ladakh. And by the way for any questions, you may still have about your Umling Pass trip, feel free to post them under Ask A Question section of our website or leave a comment under this article. 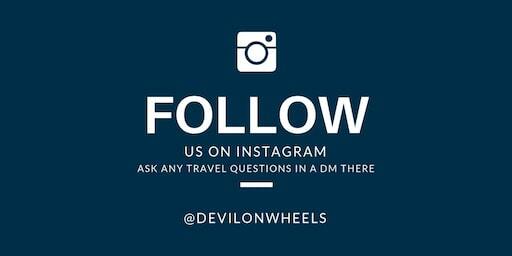 In the end, if you have been to Umling La Pass, kindly share your thoughts and other information you feel is worth sharing with other fellow travelers and will help them plan their trips to this highest motorable road in the world. No Aman, Umling La pass is not allowed to be travelled by civilians. Even with permits, if by chance you get it, you will not be allowed to go beyond Hanle. I have made a route map for Hanle to Umling-la using google satellite. I can say for sure if this is legit. you can find it in the following link. I am a beginner at this so pardon any mistakes. I will make sure I make a more accurate GPS route for this if I happen to go there on my cycle :). Just when I thought I would reach out to my TripAdvisor (helped me previously with Spiti and Pangi) ,for this new pass , I get to know that this pass has been closed for tourists 🙁 . When can we expect this to open , if any idea ? Rahul, it will not be open soon for tourists or civilians anymore. At least there is no hope in this season, may be next season but I am doubtful for that too. Unfortunate. Have you visited Mana Pass ? Im somehow unable to find any related post for Dungri La. No personally I have not visited Mana Pass. No Ruthwik, as mentioned in the article, Umling La pass has been banned for civilians starting from this year. I’m planning to go umling la via bicycle. is that possible? is anyone go there by cycle? As far as I know, no one has done it by bicycle but I believe it will not be possible because Umling la pass is 105 KMs away from Hanle which is the place where you get food and stay option. So, doing 210 KMs in a day will not be possible on a bicycle. @JAHID – we have common interest about cycling to Umling La, as mentioned by @DHEERAJ SHARMA it is not possible at the moment but as a cyclist/bikepacker i personally think that it can be done by bringing food, water, tent etc.. You just need to camp half way through it then ride out next morning for another hundred km. Visit to Umling La Pass has been banned for civilians starting this season. Even I am planning to go to Umling-La by bicycle. I am a local so I hope I can get a permit. We are planning a trip to Leh Ladakh region in late June, early July 2018 and 1 of the POI that we’d like to visit is Umling La. What’s the likelihood that Photi La & Umling La roads will be open around 2 July 2018? We will be travelling on rented motorcycles. From your article about it looks like the round trip from Hanle to Umling La via Photi La, and then Umling La to Hanle via Ukdungle is possible in 1 day. Is that correct? There is very high probability that Photi La, as well as Umling La passes, are open by the first week of July. Yes, you can visit Umling La and come back to Hanle in a day. So, you will be spending two nights in Hanle. Thx. Yes, 2 nights in Hanle. Hopefully the weather will be fine & we’ll be blessed with clear night skies. Do you recommend doing the round trip & going up via Photi La & returning via Ukdungle, or would it be easier to go up and back via Photi La? The road status changes every year, best will be to consult the BRO workers or locals while going over from Photi La side. The Ukdungle route is mostly dirt road/off road as of now. July last wk is good for umling la pass ? Yes, it should be fine to attempt in last week of July. Thank you, glad this info was useful for you. I m planng to visit leh around 3rd of may 2018.dis will b my 2nd visit. Dis tmy I plan are as follows…..
N hanle n umling la.can online permit be mangeable? I will not suggest you to make this plan as it is highly prone to AMS and also Manali – Leh Highway will not be open during that time. It will be much better to go from Srinagar side and come back from Manali side. You may not be able to do Umling La pass in early season as BRO will not have any incentive to clear the snow from it. 3. If I take a HP registered bike , how much should i pay for the one way trip. (Leh to manali) apart from daily rental charges? (any approximate cost ) Is it possible to pay only the rental charges as i will drop the bike in manali? I will highly recommend to add one day more of rest in Leh before moving to Nubra Valley. You must be acclimatized well before you start climbing and enter remote belt of Ladakh. 2. You can drop the bike at Manali but it will cost a lot of money for drop charges. Better go by shared taxi else if OK with cost like 12-15K for drop charges, go with it. 3. No HP bike will be available in Leh. Leh bike drop charges will be around 12-15K. Also note, you are trying the tour in June when it will be snow on high mountain passes and highly likely the road to Umling La over Photi La will not be accessible. As the bike charges for dropping are more i will take a shared taxi. But i heard shared taxi start at 2 or 3 am and do a one day ride to leh? I dont wanna miss the visuals in the road? will they do a two day ride to leh such that i will be able to c the places en-route? If so how much will they charge. 3 of my friends are also accompanying me. Well, you can opt for HPTDC bus as well thattakes a halt at Keylong. Also, many types of shared taxies run, one with travellers other with locals. The one with locals are the one that run that ways but you can find travel partners and make a trip with them. Myself and 3 of my friends are planning a bike trip to cover manali – leh -manali. ( 2 bikes with pillion) The itinerary is below. Tell us whether it is feasible. 2. tsomorri to pangong in one day possible? 3. should i have buffer days??? Is this schedule ok or should i change the places – routes – and dates tooo???? We 2 friends were planning to do the same trip by rental bikes. Can we join together? Sorry to post this here. Well detailed one bhai. Thanks for this.I Really appreciate. Very helpful & complete information.